An online casino which could not have a more cliché name if it was called Slotty McBlackjack, Diamond 7 does not, on first impression, strike one as a site that is particularly unique or innovative, which is a problem in the competitive iGaming industry. If an online casino does not have a way to stand out from its competition, then it is pretty much destined to not succeed, and the assumption that Diamond 7 is heading that way could be forgiven. However, this is one of many ways that this site has the ability to surprise you, as, despite its outrageously unoriginal nickname, Diamond 7 has a lot going for it, an online casino that is a great deal of fun and has developed quite a reputation for itself. Aiming to provide a unique design concept, and a selection of games that combines high-profile and lesser-known developers to create a games collection you’re unlikely to find elsewhere, Diamond 7 is clearly trying to stand out. Since the launch of Diamond 7 back in 2015, a huge number of online casinos have arrived on the market, meaning the level of competition, which was high back then, has soared to whole a whole new dimension, and Diamond 7 has done an excellent job of keeping up. With a name like Diamond 7, you would expect imagery based around a traditional fruit machine, and to an extent that is what you get here, but with a funky and futuristic twist. Blues and white adorn the page which dashes of neon scattered around to add that future feel, this is a perfect example of a site taking a much-loved and very well-worn theme, and running in a whole new direction with it. It isn’t only that the design is unique either, it’s also stunning, the colours blend well, the simple, subtle approach has been executed to perfection, and all the information you need is readily available. A well thought out layout means that everything is where you expect it to be, the traditional thumbnails on the homepage are present, and worked into the design, well, game categories are clearly marked down the side of the page, and promotions and information on the Diamond 7 site could not be easier to find. In short, this is a site that has absolutely nailed navigation. An excellent looking site that is as easy to use as it is pretty to look at, many sites could learn from what Diamond 7 has accomplished. As mentioned above, Diamond 7 have attempted to create a unique mix of games here by using huge names, and smaller developers in unison. As a result, the full list of software providers available at the site includes 1X2 Network, Aristocrat Gaming, BetSoft, Blueprint Gaming, ELK Studios, Evolution, Ezugi, Greentube, Leander Games, Microgaming, NetEnt, NextGen Gaming, Quickspin, NYX Gaming, Stars Group, Thunderkick, and White Hat Gaming. Slots come in video, classic, and jackpot form and cover a wide range of themes and concepts, while table and card games are also available in abundance, including in the impressive Evolution Gaming live casino. Instant win fans will find a bunch of exciting titles under the Fun and Scratch tab as well, I short, there is something for everybody here, and lots for most people. 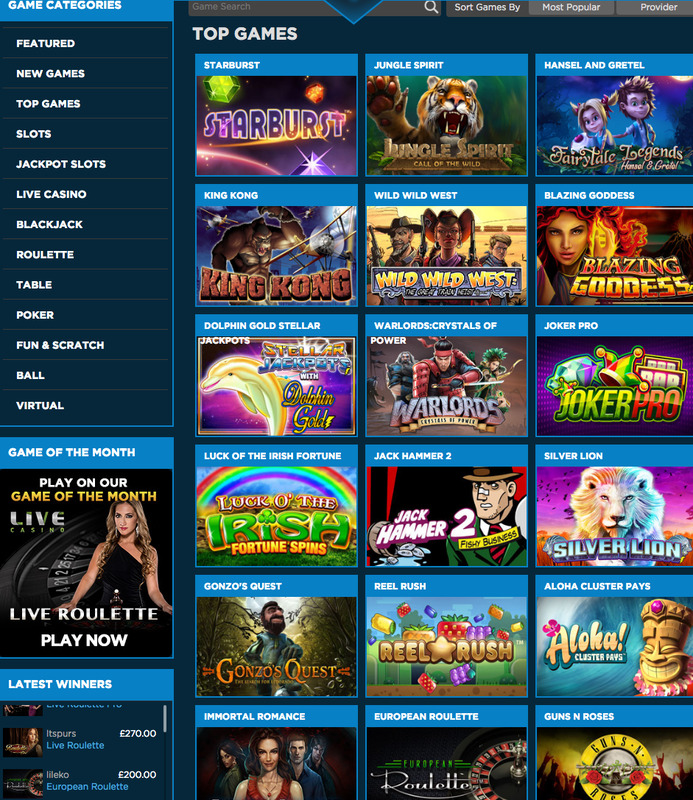 A perfect example of why people suggest not to judge a book by its cover, Diamond 7 may have one of the least unique names that an online casino site has ever been given, and it truly does, but in terms of design and content, it’s one of the most original!